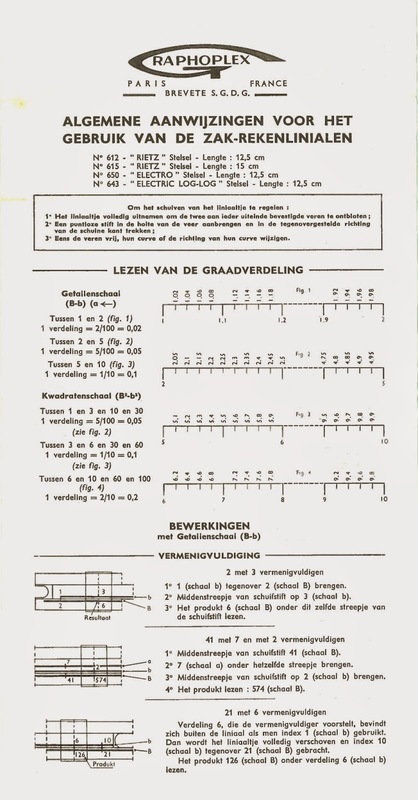 Prompted by the posting about a book on sliderules over at Munk.org, made a scan of the leaflet that came with a pocket sliderule I got recently. It is a regular 'Rietz', but rather small with a 12.5 cm scale. This one looks and feels absolutely new and unused, the leather sleeve is pristine as well. The only marking on the back indicates it was intended for Heemaf, either for use by the company or perhaps more likely meant as a promotional gift. The overall look and feel makes me guess this could be as recent as the seventies, but hard to tell really. 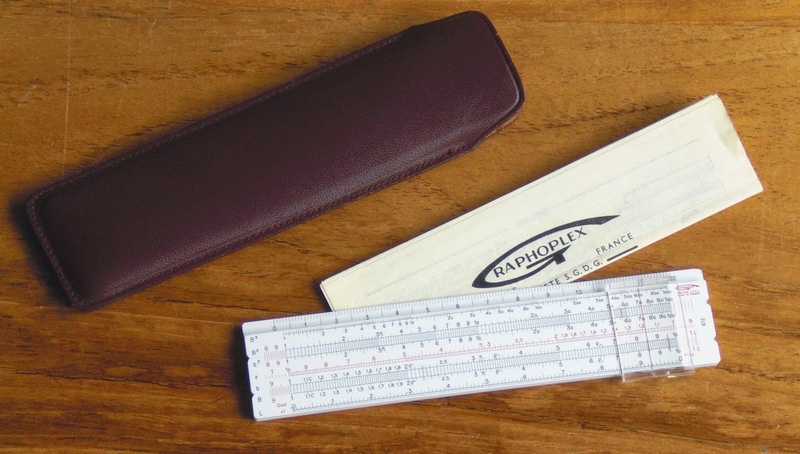 In the small leather sleeve with the small sliderule comes one sheet of instructions folded up equally small. 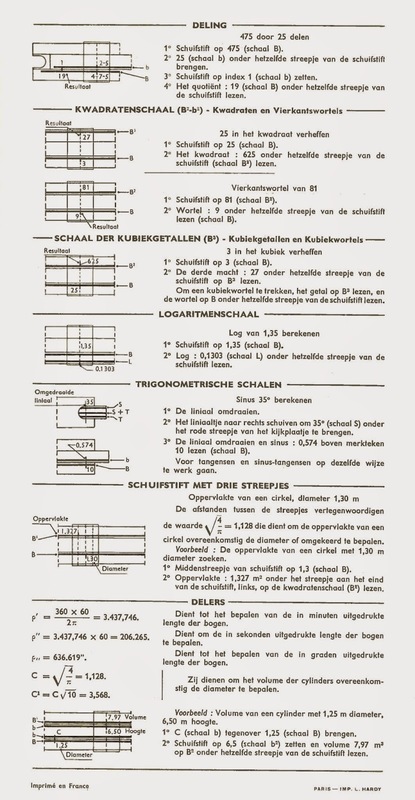 A very condensed course in using this system 'Rietz' sliderule (in Dutch). That's very cool! love the Dutch instructions. I have a few pocket rules, they are pretty cool. The instructions being in Dutch may make it even more obtuse than it is already. Agree they are pretty cool, amazing instruments really.